My experiences at Lunaroma have all been fantastic. The staff is extremely helpful. The candles are a wonderful to fill a space with a calming scent, yet are not at all overpowering. I carry the Mental Clarity Aromatherapy Roll-On in my purse all of the time so that I can use it whenever necessary. The Less Stress Synergy is wonderful in a diffuser. Lunaroma products make wonderful gifts too! Add a little spice to your holiday season! Explore our 2017 Holiday Gift Guide. Shop online and then pick-up in the store at your convenience. Choose the "pickup" option for shipping. We'll have everything all ready and waiting for you! A go-to gift for just about anyone! 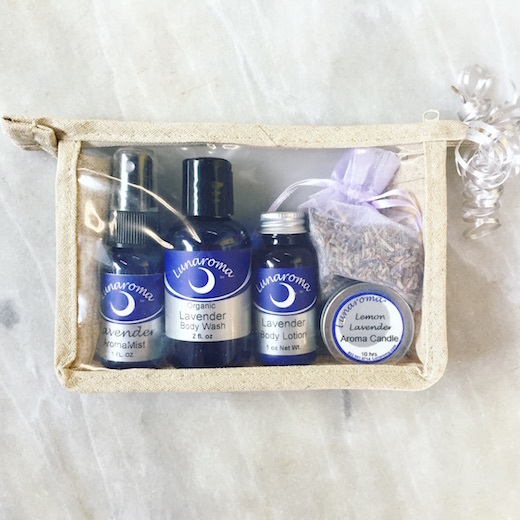 This set includes popular Lunaroma products in lavender: Organic Body Wash (2 oz), Ultra Luxe Body Lotion (10 ml), AromaMist (1 oz), Lavender Vanilla Lip Love, a lavender sachet and a Lemon Lavender mini candle. An extra special gift for those who love plant medicine. Enjoy the alchemical aromatics of white sage and sweet grass in a fresh botanical spray. For the scent lover or anyone who needs a little aromatherapy TLC. 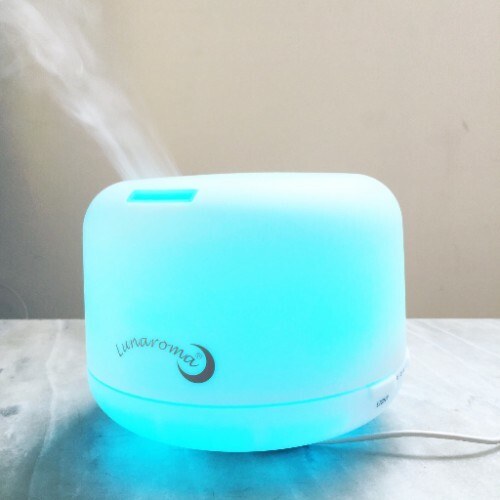 Lunaroma diffusers are easy to clean, and use only 6-8 drops of essential oil to scent approximately 400 square feet. Bring joy to anyone who commutes. 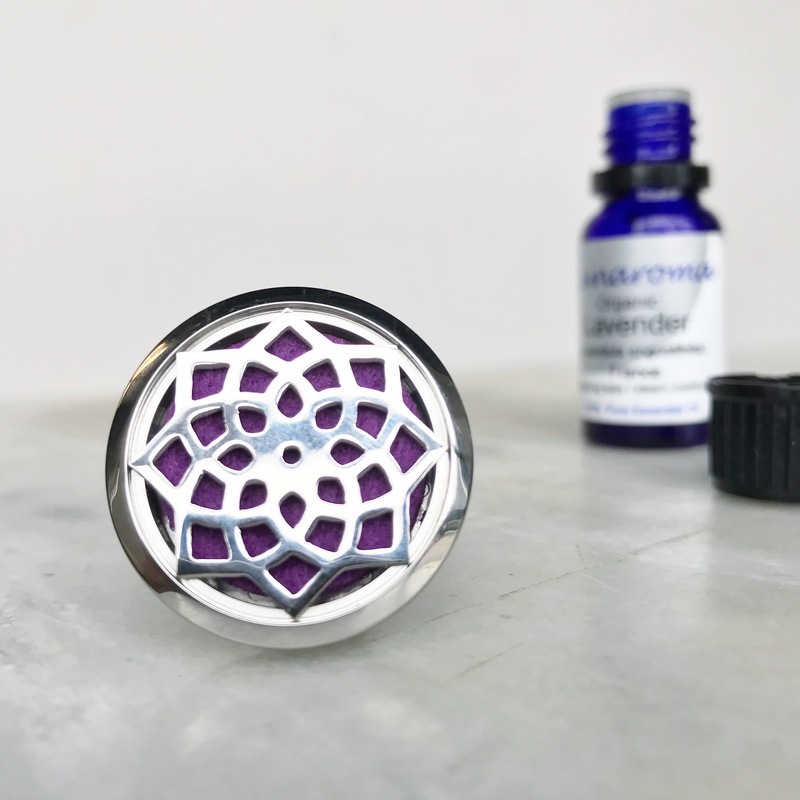 Simply attach to a vent in your car and add a few drops of essential oil to the removable felted insert. Crank up the heat (or A/C) and ejnoy your favorite aromas! 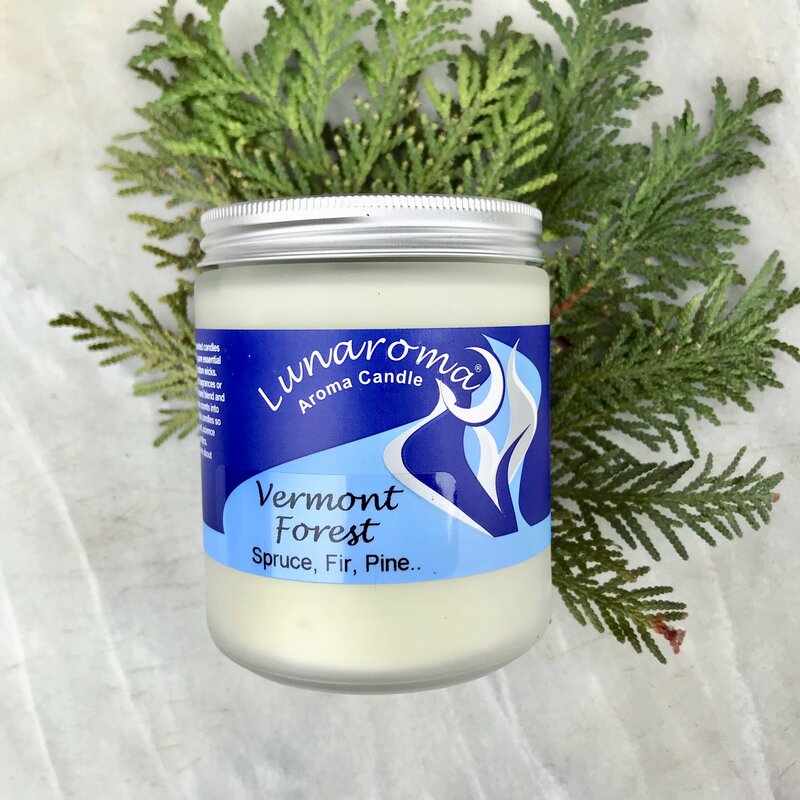 If you love the great outdoors our Vermont Forest candle is as close as it gets to the real thing! Aroma Candles are made with 100% non-GMO soy wax, hemp and cotton wicks and pure essential oils. 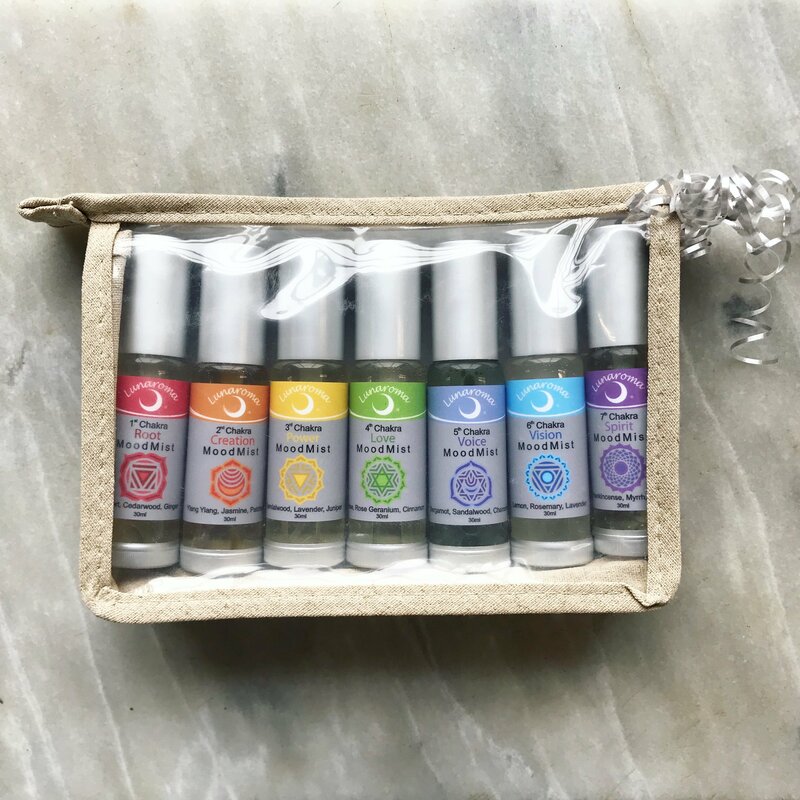 A dream gift for any yogi, spiritual seeker or energy worker. 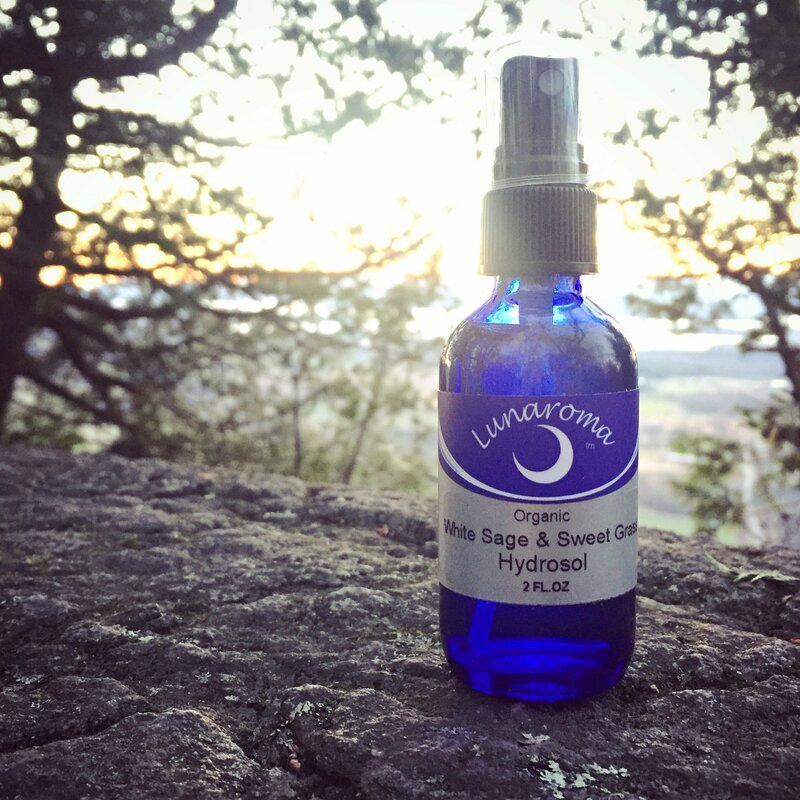 The blends in this line incorporate sacred oils that have traditionally been used in ritual and meditation.